FORT BRAGG, N.C. -- Puerto Rico has been a fixture in the national dialogue ever since Hurricane Maria devastated the island in September 2017. Though recovery efforts continue, many Puerto Ricans are putting their lives back together and pressing forward each day. 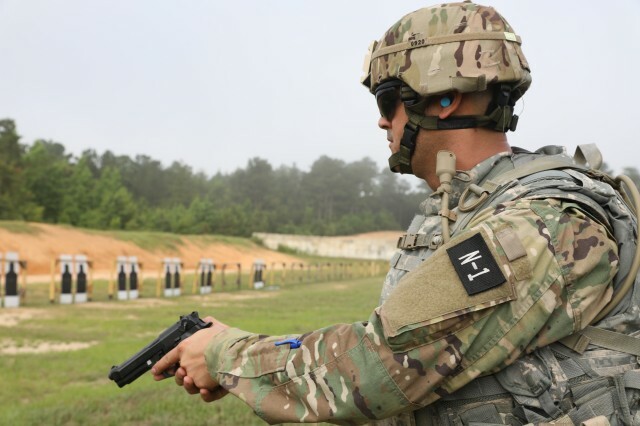 One such individual is U.S. Army Reserve Sgt. Carlos Fuentes, who serves as an information technology specialist with the 166th Regional Support Group, 1st Mission Support Command at Fort Buchanan, Puerto Rico. He is one of two Soldiers representing the command this year in the U.S. Army Reserve Best Warrior Competition. The Best Warrior Competition is a rigorous week-long challenge that tests Soldiers' physical endurance, military acumen, and personal courage. 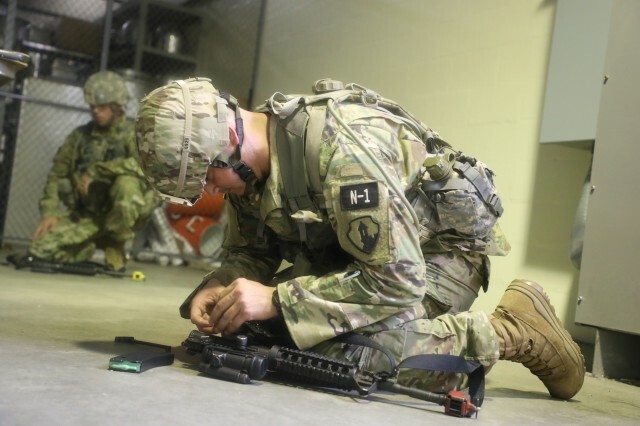 Between June 10-17, competitors will complete arduous fitness tests, live fire exercises, and more, exemplifying the proficiency and lethality of the U.S. Army Reserve. Fuentes is looking forward to the marksmanship events. "I like to shoot. I'm excited to go to the range and see if I can hit maybe a 39 or a 40 out of 40. Let's see what happens," he beamed. Fuentes enlisted in the Army Reserve almost a decade ago, continuing a family tradition of military service. He has uncles who served in Vietnam and two cousins who deployed to Iraq and Afghanistan. "It brings honor to the family that makes us feel proud of what we do in the Army," he said. Heritage and honor weren't the only motivators that inspired Fuentes to serve. Having earned a B.S. in Computer Science from Interamerican University, he learned about IT opportunities in the Army. He enlisted, in part, to augment the professional skills he developed in the civilian sector. "I'm getting a lot of good training and resources in that area, and I'm going to my civilian job and implementing them. I work in security, so everything I can learn in the Army, I get to practice. And my company is seeing good results," he explained. He works in IT security for a firm in Guaynabo, Puerto Rico. In addition to being a proud Citizen-Soldier, Fuentes is a doting father and husband. He and his wife, Marielle, have a young son. Fuentes has always been a family man, but Hurricane Maria really put the importance of family in full view. "(The hurricane) hit us hard in all kinds of ways, not only the physical," Fuentes recounted. He said that the widespread wreckage had a palpable effect on the overall morale of the island. "From having everything that you've (earned) in place, you make a lot of sacrifices to obtain it -- your house, your car, everything. Then in one night, it gets destroyed," he continued. Hurricane Maria flooded the Fuentes household, damaging all of their furniture and other belongings beyond repair. "But my family was okay," he recounted gratefully. "That was the most important part. We can build up the material things again from scratch." Despite his own losses, Fuentes proudly served alongside his sisters and brothers in arms during the recovery effort, transporting food and water to people in impoverished communities throughout San Juan. His unit was a boon to the island and a source of personal comfort as well. "I've got great leaders in my unit who understand what we're going through. They're providing me with the space to recover, and the space to train," he explained. 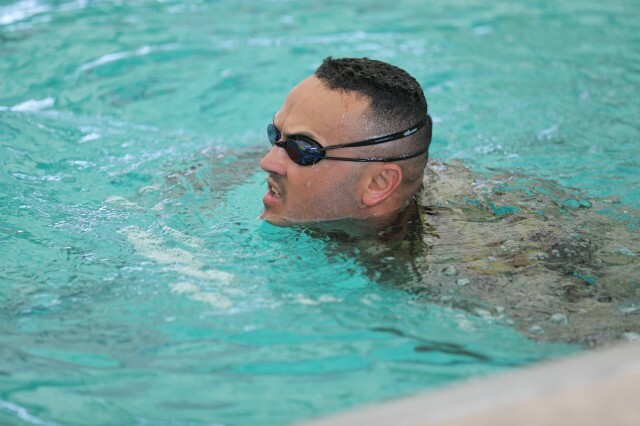 The support Fuentes received from his home unit in the aftermath of Hurricane Maria has cemented his love of service, and he intends to ascend the ranks into retirement as a Soldier for life. "Being a Citizen-Soldier is a big responsibility ... it's demanding sometimes, but with a good organization and desire, you can have both jobs," he added, "As long as I still have the health, I will continue with my military career."